There is a definite sense of finality in leaving for college – new places, new things to see. 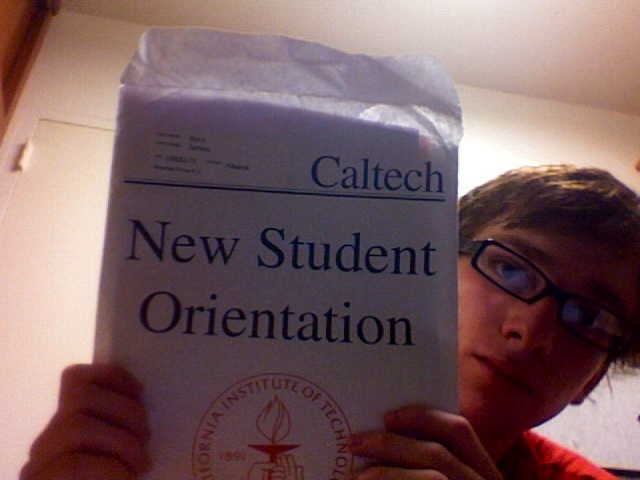 At Caltech, college begins with “Frosh Camp”. This year, Frosh Camp was in Ventura. There’s something weird about staying in a hotel when your own house is within walking distance, but so it was. I went to four orientation meetings in the same auditorium today. I can now find this auditorium with absolutely no problem. I have never been more oriented. There was a luau today. Food here is quite good. My lei was rainbow. September 22, 8:57 PM–A Thursday again. I seem to have caught “Frosh Plague”. September 22, 8:58 PM. Guess who’s going to finally get to sleep on time. Nailed it.